At the moment that the work of so many brave men and women who have dedicated their lives to the security of their nation is celebrated, it is important to have a place where you can feel the peace that soldiers have been looking for so much every day They sacrificed years of their lives for a cause for which we will all be forever grateful. A home is built by a family that is respected, that is loved, that takes care of each one of the members; to have it first you must have a physical space in which to develop that idea and it is precisely where the real estate presents the opportunity to find the house that can represent the location so that you and yours live the life they love so much. After all, when it comes to that moment in which you are a military veteran, the first thing you want is to be able to find the tranquility that is needed after everything you have done in the years in which you served for the country where you can see each one of the members of his offspring grow and develop with all the love that there is within a home. Acquiring a property is not too complicated if you have the necessary advice to do it and that is why here we offer all the necessary services to acquire the house of your dreams in which you can reside from now on the next full years of Stillness and rest. 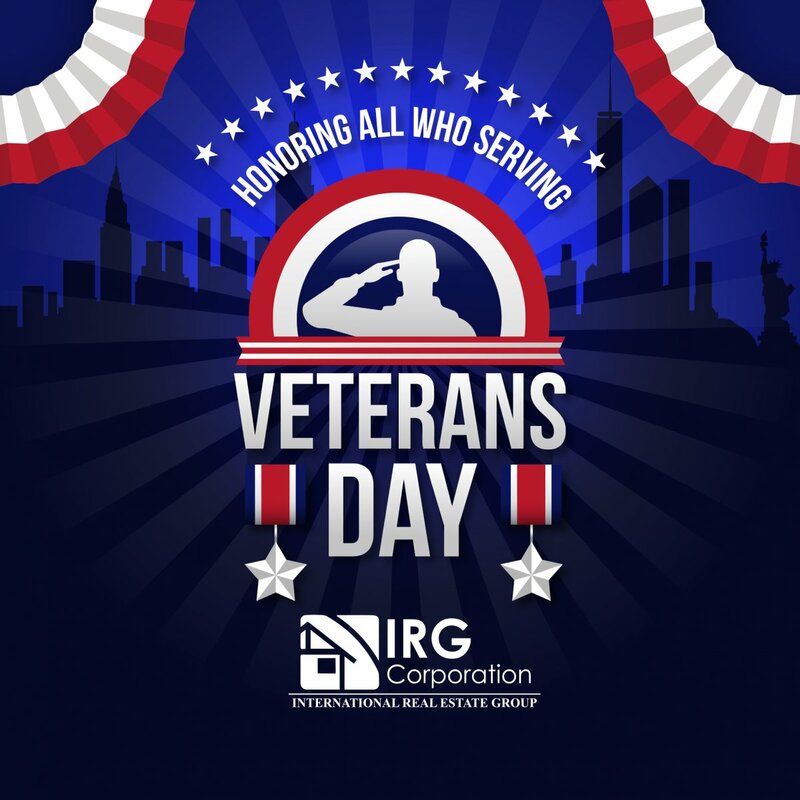 Do not miss the opportunity to own your own place or get some money (if necessary) and contact us through our website of IRG Corporation, where you can find a direct means of communication for that we begin to establish the indicated plan to clear your doubts and fulfill all the possible demands that you may have. “When we assume to be soldiers, we do not stop being citizens”.. Inventory Goes down and prices go up!